It is curious, how your opinion can change as time goes by. At some point in time, we all look back and realize, that the way we look at things has changed. For instance, things that used to be really weird once, look pretty normal to me now. Perhaps, this is what happens, when I take a look at the past and analyse the time I’ve spent in the land of the rising sun. In October 2008, I started working in a robotics engineering laboratory at one of the best universities of the country. Once I was done with all the formalities, such as lab tours and meetings with the academic staff, so I could discover all the different branches of research the lab was interested in, I started to think Japanese researchers – renowned scientists worldwide – were definitely crazy. Professors with robotic clones, smartphones with semi-human shapes and big headed robots, which did not stop screaming at whoever got near them. In summary, at every turn I found something more bizarre and weird, something totally different from what I used to call science. However, as I began to discover different aspects of the Japanese society, I started to realize that those bizarre gadgets were not as useless as I thought in the beginning. 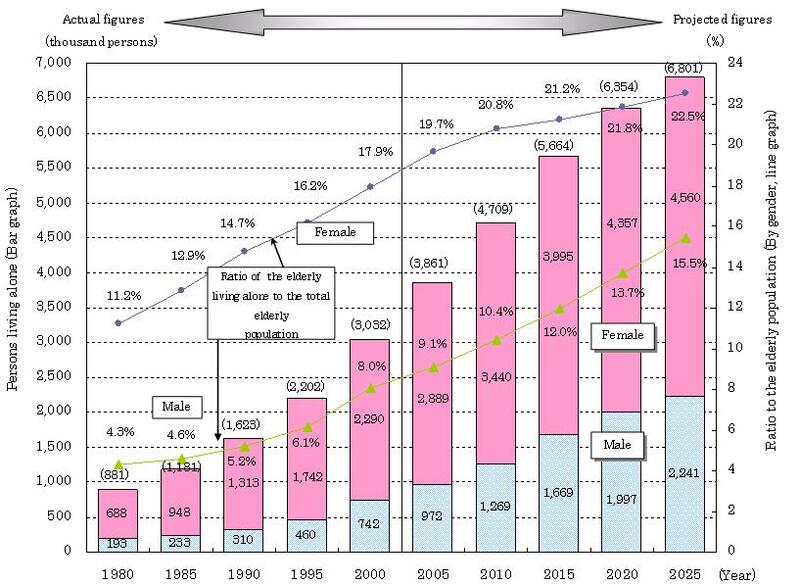 In a super-aging society like the Japanese, situations in which elderly people (over the age of 65 years) live alone and are socially isolated, started to become relatively common. In spite of this fact, a big proportion of these senior citizens are not technologically isolated, since the use of smartphones and other gadgets is common among them. So common, that it is normal to see grandmas and granddads use and play -skillfully- on smartphones, tablets and other similar devices. 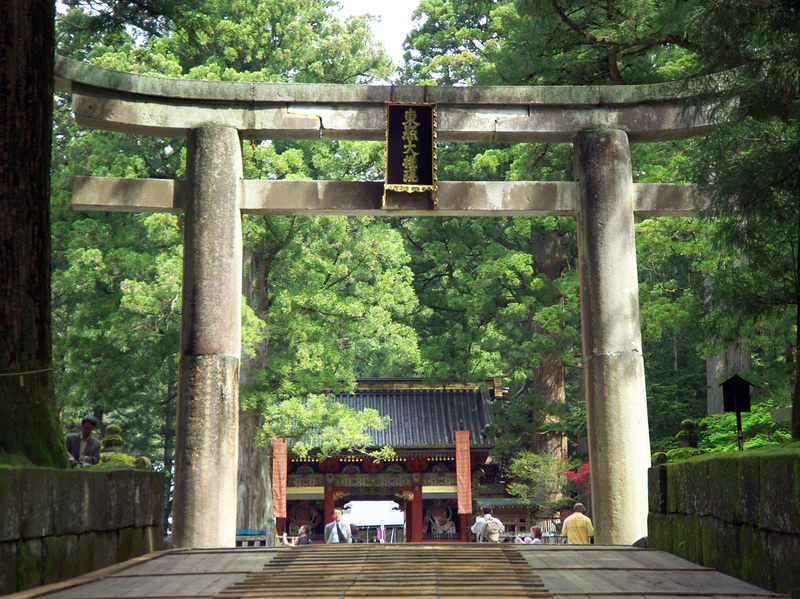 Torii gate close to Nikko Temple, Togichi prefecture. One of the most characteristic symbols of Shintoism. Furthermore, the traditional Japanese religion (Shinto), could be defined as a group of beliefs, in which the concept of balance is predominant over any other postulate. In Shinto, forces that balance the universe can be “cosmic” or “earthly”, and this last type can be “embedded” almost everywhere: trees, rocks, machines or even robots. Even though religion and technology are fated to collide within the western world, this is one of the key concepts behind embracing robots and other machines as part of the Japanese future. In recent years, we got used to put part of our lives on-line. Comments about what we do, where we do it or what we think are common information that we share almost as a reflex on social networks. Against all odds, when researchers envision the next step within this changing world, it is not an improvement in the connection speed, neither a new on-line service, but a change in the interface we use in order to communicate. If we were able to put a little bit of ourselves on-line, and create a virtual profile with all our data (pics, videos, etc…), why not transmitting that information through a robot? This is the question researchers like Hiroshi Ishiguro are proposing to the scientific community. 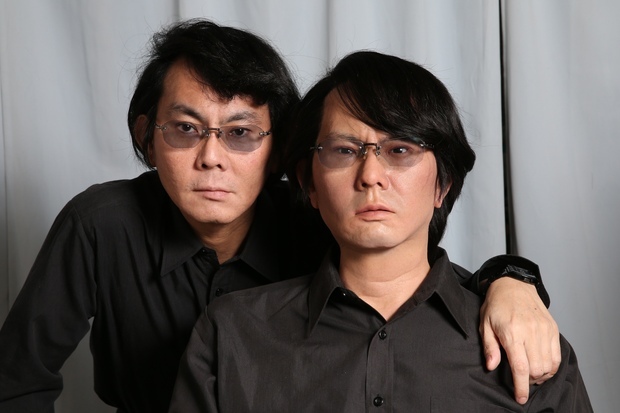 Hiroshi Ishiguro with his robotic clone Geminoid HI-1. Professor Ishiguro believes, that realistic androids (like the one we see on the photo) offer an ideal interface for the communication of the future. This type of “hyper-realistic” robots offer several improvements over the classical teleconference and communication systems, due to the fact that it is not only able to project the image or the human voice, but also its physical presence. The idea of these kind of interfaces came up, when Ishiguro-Sensei (as he is called in Japan) needed to travel around in order to give lectures at different universities. Tired of having to do that for such a long time, he decided to build a robotic clone which could serve as his surrogate, and therefore transfer his presence through it to different places. “Human beings are biologically programmed to interact with their similars. Human presence captures more attention and concentration in the human brain than any screen or monitor. In all my years as a professor, I had to give a lot of lectures on-line. However, the technology currently available seems like an incomplete system to me, since it cannot reproduce the true feeling of being in a distant place” H. Ishiguro. 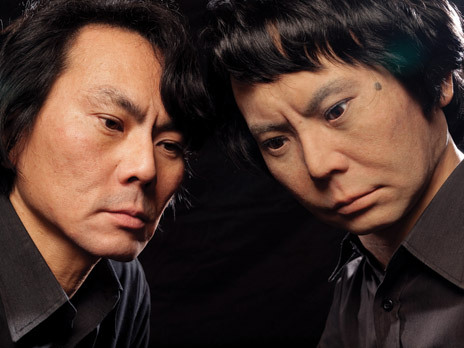 Professor Ishiguro can teleoperate his robotic clone using a complex camera system connected to a computer. These cameras are able to recognize his face and body movements in order to transmit them to his robotic clone through the internet. At the same time, the operator’s voice is captured by a microphone and played back by a speaker placed at the mouth of the android. However, what happens with all those people who cannot afford having a robotic clone like this (150.000 EUR)? For this kind of users, professor Ishiguro’s lab has launched two extreme “minimalistic” models based on the same philosophy. If you are still low on budget for buying a Telenoid R1 (around 20,000 EUR), you can always buy the smallest gadget for the family: Elfoid. Designed to be the same size as a smartphone, illustrates the same principle as its bigger brothers. Here you have a couple of videos about several conversations (in Japanese), where a kid (using this particular terminal) talks to his mom and granddad. It is possible, that a lot of people have doubts about the utility of these kind of devices. I will not deny the fact, that the appearance and shape of these new terminals are at least … disturbing. However, I cannot stop thinking that even though this technology might be scary, it could be the first step towards being at two different places at the same time. So … What do you think? Do you believe that this technology might be the future of telecommunications?